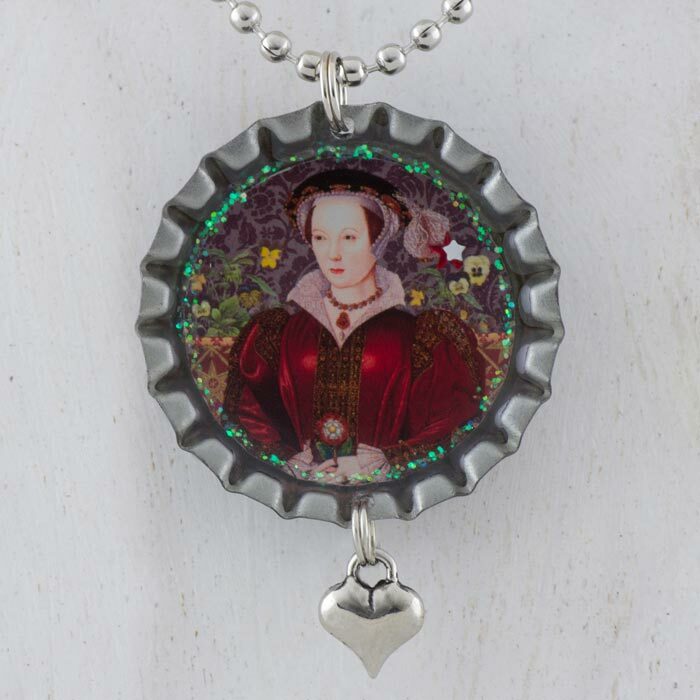 This beautiful, unique and collectible bottle cap Catherine Parr necklace features an image of Catherine Parr holding The Tudor Rose with pieces of an antique botanical of Pansy flowers and ornamental papers and bookplates. One of the symbolic meanings of Pansies is "thoughtful recollection". Catherine is also known as Katherine or Katharine Parre.